Have you ever fallen in love with a product from the first time you used it? This is what happened when I had the opportunity to review the Sol Republic Deck. 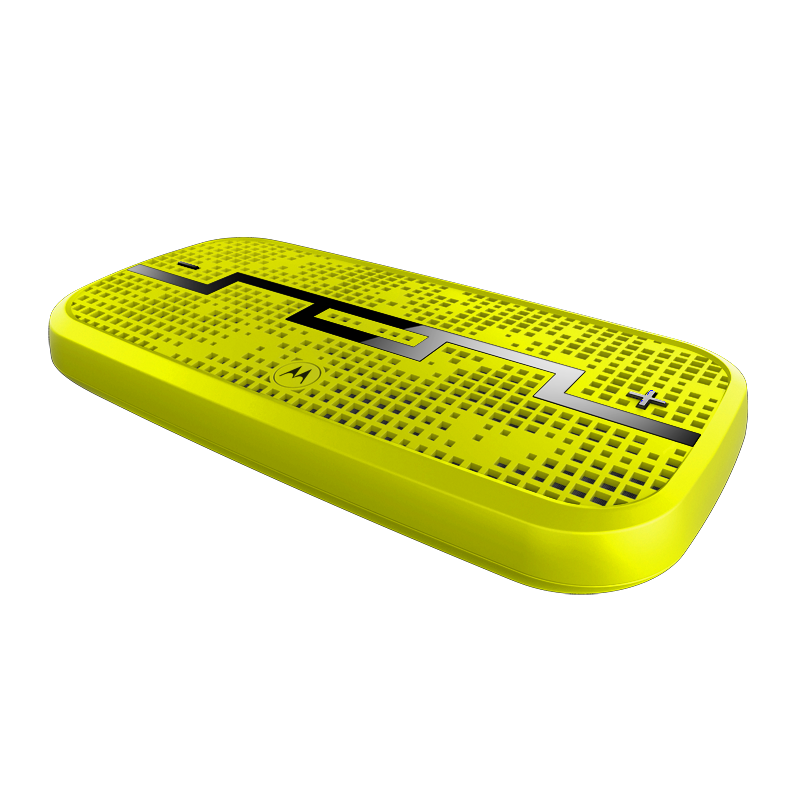 The Deck is a wireless speaker which has great range and incredible sound. I have used this every day once it arrived in my hot little hands. It goes in the car with me because the car system sounds terrible. I use it every morning for the getting up, showered, dressed, and out the door routine. I use it with my notebook computer because the speakers on it barely make noise. It is my workout buddy while I'm walking on the treadmill at home. We take it to the kitchen to make cooking into a giant family sing along and dance party. I listen to it while typing blog posts and singing about along about not knowing what to do with myself. Anyhow, it has many uses and I like versatility. It's a hit with the teenagers too. I know this because it frequently misplaces itself, going from the corner of my desk upstairs. I keep being assured no one knows how that happens, but I'm confident it's not moving on it's own. Teenagers. Anyway, the Deck scores high points with them not only because of the amazing sound. Two things stand out with my teens; Heist Mode and outdoor mode. Heist Mode allows up to five mobile devices to control the Deck with the simple slide of a button. You can have multiple DJs this way. I swear Heist Mode kept us from having all out musical fits of "But, I don't like that song!" last weekend because all three of us had control. Mom likes it for that very reason. Outdoor mode gives you a sound boost that is awesome. The first time we tried the Deck was at the pool and the sound was clear even among splashing and chatter. Pretty cool if you ask me. The final verdict is Sol Republic's Deck is honestly one of my favorite things. I think it would be great for high school or college students going back to school who enjoy music while studying. It produces great sound without being obnoxiously loud, a fact that this mom who says "turn that that down" to the man child's big clunky system completely appreciates. I like everything about it, from the cool features I've already mentioned to how it gives you verbal battery status updates. So cool! The only thing I was not happily about was the inability to connect using the NFC on my phone, but it says it's possible and it could have easily been user error on my part. Connecting via Bluetooth worked just fine. My opinion is the Deck is a great product and would make a fabulous gift. You want one for yourself now, don't you? Of course you do! You are in luck too, because one lucky reader will win one of their very own! a Rafflecopter giveaway Ramblings of a Texas Housewife Product Review and/or Giveaway Disclosure- I have received no compensation other than the offer of free product to review and/or giveaway. Any opinions expressed on Ramblings of a Texas Housewife are my own. My reviews are never reviewed or edited in any way by sponsors. The battery life is what appeals to me! I like the compact size of the Deck speaker. It would be easy to carry with me. My favorite feature is that it is wireless. I also like the small size. i love how amazing the sound is. no more headphones for me! I like the small size and can take with me and use anywhere. I just like how loud it can get and still be portable! I love that it has a built-in rechargeable battery delivers up to 10 hours of play time. You had me at Heist Mode. I have 3 sons and none of us listen to the same music. This would be great! my favorite feature is that it is wireless lol. I need a speaker for the back yard and this looks like it would be great for that! I like that I can link up to 5 devices to it, so my phone and my husband's phone can have access to it! I like that it can connect via both Bluetooth and NFC! I love the fact that it has a 300 foot range for the wireless. I love the fact that it has such a wide range. I love the fact that it's wireless and portable. i like the 360° Full Sound. The Heist Mode is awesome! More than one DJ!! I like that it verbally tells you about your battery life. I like that it has a Outdoor mode that gives the sound a boost. I like the Outdoor mode. My daughter could use it at softball practice or warmups. The girls love to listen to music and it seems to make them ready to play. Thank you! The Heist Mode is an awesome feature - love the idea of pairing up and taking turns controlling the music! i am excited to hear the outdoor mode. i love music loud! I like how compact it is. I love the heist mode feature.I get tired sometimes of the music my teenagers listen to and just want something I like. I like the Outdoor Mode that will give you a sound boost. A great feature! I think my last comment messed up so I hope this isn't a double post. I love the Heist Mode because I think it is really awesome. I love that you can use 5 devices ton control the deck. I love the vibrant colors. This seems like the kind of gadget that I might forget about if it's turned off, but the color will remind you it's there.